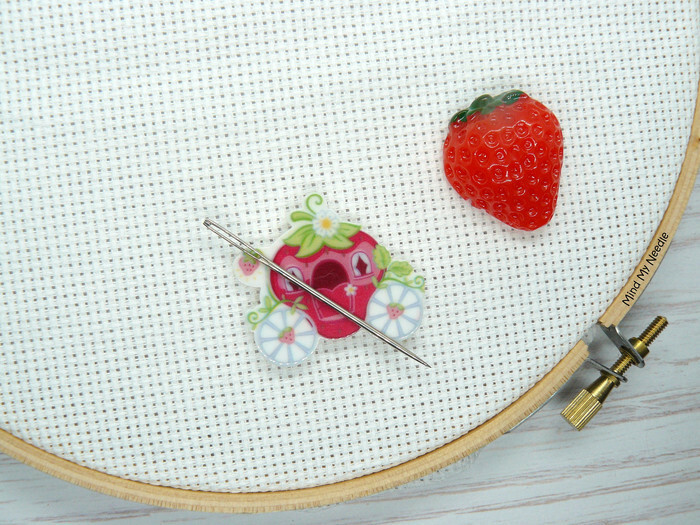 With these gorgeous Needle Minders you will never lose your needle again. 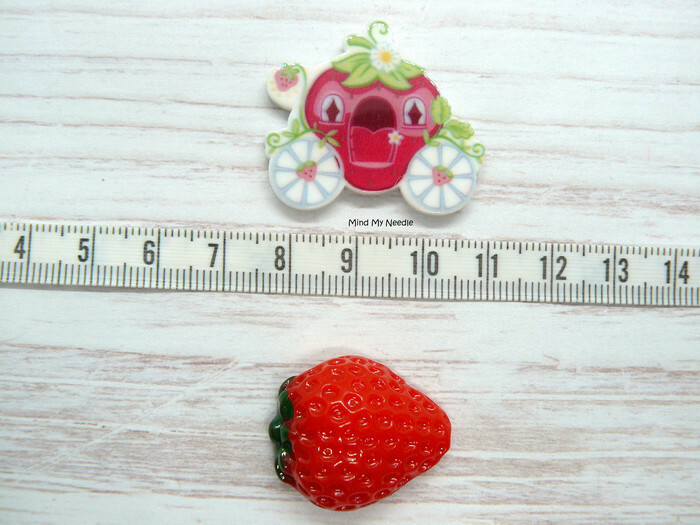 The needle minders set will come in two pieces. 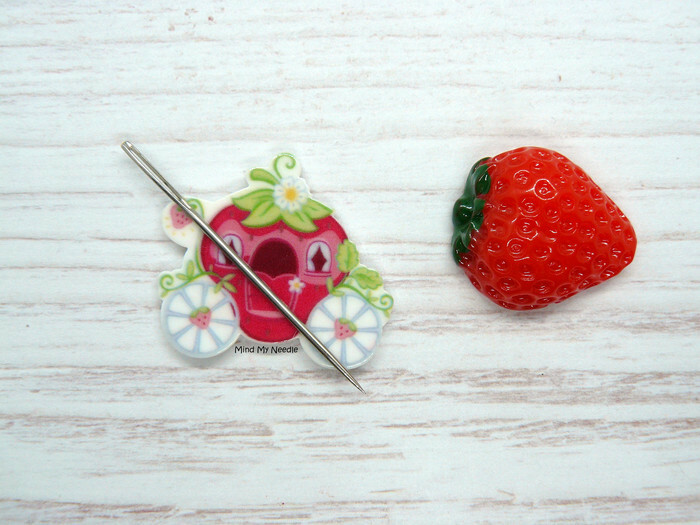 A cute Strawberry Carriage Resin piece and a matching resin Strawberry . One to sit on the top side of your project and one underneath to anchor the needle minder in place. To use the needle minders simply slide the two parts apart. Never pull them apart as the Neodymium magnets I use are very strong yet fragile and can get damaged.